Dec. 2, 2016 – CARP applauds the government for the proposed amendment to the Old Age Security Act, contained within Bill C-29, as well as the recent $1,000 annual increase to the GIS (Guaranteed Income Supplement). But despite these measures, many Canadian seniors in Canada will continue to live below the poverty level. Wanda Morris, VP of Advocacy and Wade Poziomka, Director of Policy, for CARP advocated for increased protection for low-income seniors to the Senate Social Affairs Committee this week. CARP is a national non-profit, non-partisan association with 300,000 members across Canada, most of whom are retired, with above average education, income and net worth. We advocate for improved healthcare, financial security and freedom from discrimination for Canadians as we age. CARP believes all Canadians should be able to retire knowing they have the means to afford housing, medication, food, and other basic necessities. Two people living together can live for less than if each lived on their own. This is undoubtedly the reason why the per-person GIS supplement is less for married couples, or those living common-law, than for singles. But those cost savings disappear when one of the people in the marriage, or common-law marriage, lives apart. The proposed amendments to the Old Age Security Act, contained within Bill C-29, will ensure that low-income couples living apart will receive combined OAS and GIS payments of $2,885 rather than $2,197; these amendments have our unconditional support. CARP applauds the government for the proposed amendment, as well as the recent $1,000 annual increase to the GIS. But despite these measures, many Canadian seniors in Canada will continue to live in poverty. Single seniors in Canada, with no other income, receive $13,184 annually in OAS and GIS payments. This is below the poverty line of $13,3101 for 2014 as estimated by the Fraser Institute. We must do better. The financial hardship of low-income seniors is exacerbated by significant, uncontrollable increases to the cost of necessities. For example, in Ontario last year, hydro prices rose by an average of 15%. 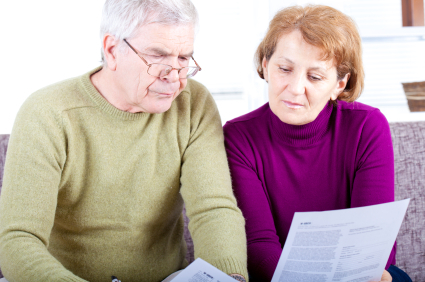 Learn more about vital Retirement Income Security issues. Add your voice to CARP’s advocacy efforts to protect Canada’s most vulnerable seniors. Join Today!